The Zero Waste Lifestyle has grown in popularity over the past number of years. With growing awareness of plastic pollution being brought to the fore by programmes such as David Attenborough’s Blue Planet 2, most people are actively trying to reduce their plastic consumption. The Zero Waste Ireland Facebook Group, which provides lots of tips and ideas on zero waste living, has over 10,000 members. 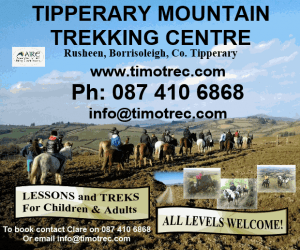 One of the administrators of the group, Íde Mhic Gabhann, will be giving a talk about the Zero Waste Lifestyle at the Cashel Zero Waste Festival on Sunday 22nd April. Íde has a business called ‘Bring Your Own’, which allows people buy loose unpackaged products which you put into containers that you bring yourself. Íde will also have her stall at the festival in Halla Na Féile, so visitors will be able to experience zero waste shopping. 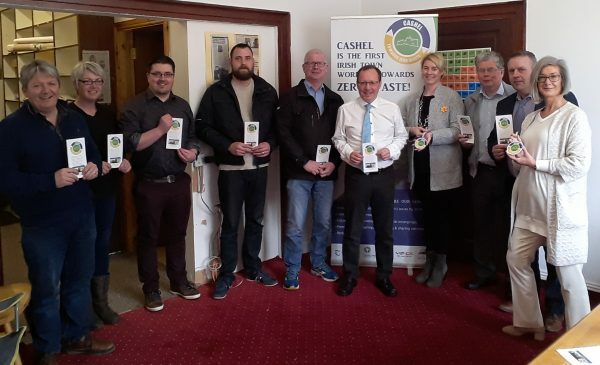 Representatives from Cavan County Council, The Connacht and Ulster Region Waste Management Office and Belturbet Tidy Towns visited Cashel to learn more about Zero Waste Cashel. Also in the photo is Derry O Donnell Project Manager, Zero Waste Cashel and Pauline McDonogh, Southern Region Waste Management Office who arranged the visit. There will be a number of other talks, workshops and information stands aimed at helping you manage and reduce your waste and save money at the same time. Workshops vary from learning how to make your own non toxic household cleaning products and detergents, to beauty products like shampoo, toothpaste, anti ageing moisturiser etc. to reusable beeswax cloth wraps. Kids can attend a workshop on how to make their own bath bombs, bubblegum shower gel and bubble bath. Attendees will also be able to find out for sure what goes in the recycling bin with the VOICE Recycling Ambassador Programme. To book your place on any of the workshops or find out more about the festival phone or text 086-3191673 or email info@zerowastecashel.ie. 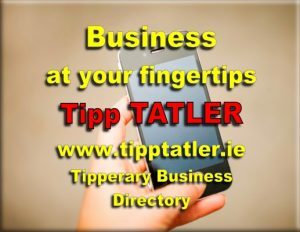 The festival has been made possible thanks to support from Tipperary County Council under the Festivals and Events Grant Scheme 2018. While large numbers of visitors are expected to attend the Cashel Zero Waste Festival on Sunday 22nd April, they will not be the first ‘Zero Waste Tourists’ to the town. Last week a delegation from Co. Cavan visited to hear first hand about the Zero Waste Cashel Project. The group included representatives from Cavan County Council, The Connacht and Ulster Region Waste Management Office and Belturbet Tidy Towns. The visit was arranged by Pauline McDonogh of the Southern Region Waste Management Office. Attracting visitors to Cashel, who want to learn more about how to implement their own zero waste initiatives, is an added benefit of the Zero Waste Cashel Project and provides an extra economic incentive to local businesses to embrace the project..